Packrafters from Norway, Sweden and Finland are joining forces to organise a new event open to everyone. The first edition will take place in Sweden, close to the Norwegian border in the beautiful region of Dalarna. This Get On Board event is all about collecting plastic from the River Thames. Last year 90 paddle boarders attended and collected as estimated 200kgs of plastic waste. Why not do your bit to collect plastic and raise awareness of the issue. French Alps Packrafting Meetup with rescue courses, gear swap and access to three rivers. The first English Packraft Gathering is a social event focussed on coastal paddling in and around the largest natural harbour in Europe. It’s open to anyone with a packraft or inflatable canoe. 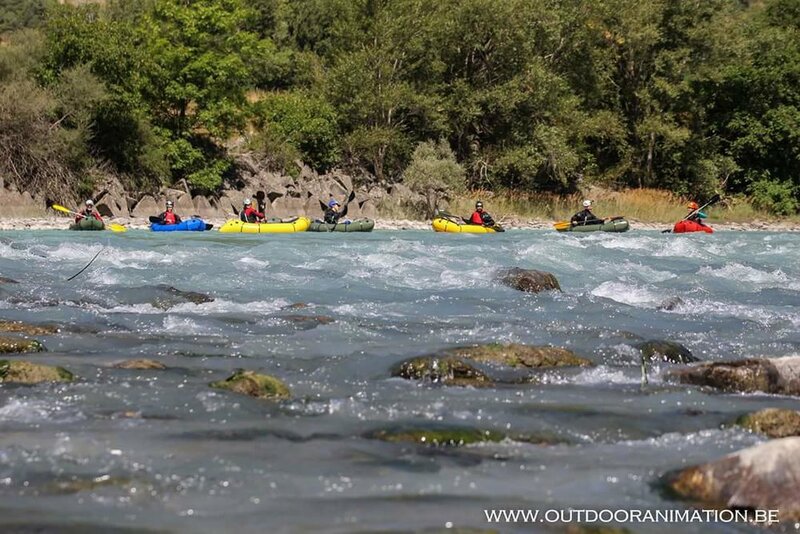 In 2018, for the fourth time, Funkajaks and Land Water Adventures present the yearly, open and free packrafting Koritnica-RUN. For everyone with a packraft! This event is not associated with or sponsored by Longshore International. Please visit the links and contact the organisers for more information. A whitewater training course run by outdooranimation.be. The biggest Finnish Packraft gathering so far. This event is by invite only so please contact Packrafting Finland for more information. The 2018 Annual Swedish Packraft Roundup will take place on June 1-3 on the Voxnan. The event will be free of charge however you should read the attached Facebook Page and contact the organisers prior to attending. Andy Toop of Backcountry.Scot is organising the second UK Packrafting Roundup. There will be workshops and the opportunity to take part in some peer paddler led trips. The 2018 packrafting meet-up in mainland Europe will be held over 4 days from Sat 28th April until Tues 1st May in Bovec along the Soca River in Slovenia.